The environment and the fast pace our modern lives exhausts our bodies, which cannot help but affect the condition of our skin. It causes skin dehydration, disturbed metabolic processes and other undesirable reactions. This is especially true for those of us living in big cities. It is better to restore the natural vitality and structure of our skin cells, rather than just mask the problem. Natural cosmetics solve these problems. Try our cedar cream balms made from 100% organic ingredients. Natural cedar cosmetics are unique because they mobilize the body’s resources, cleanse and revitalize skin cells and makes them function properly. Since the natural components are rich in vitamins, antioxidants, nutrients and fatty acids, they saturate the skin with all necessary elements. Organic cosmetics gently take care of the skin, nourishes and restores it’s original beauty and elasticity. Due to the natural energy of the cedar, the skin develops the ability to protect itself and adapt. Cedar cream balms restore the balance of the skin and help it to resist the negative effects of environmental factors. Cedar creams are perfect for daily use! The compositions of cold pressed oils of cedar, grape seed, olive, almond, wheat germ, as well as beeswax and other bee products constitutes the base of the cedar cream balms. The products are enriched with highly valuable natural components such as essential oils, cedar resin, healing herbal extracts and Altai mumie. Cedar cream balms are handmade, limited products. Due to the contained esters they relax not only the muscles but also the entire nervous system. 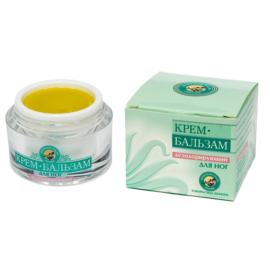 You can buy the Cedar cream balms at a reasonable price directly from the manufacturer on the official online store of the “Ringing Cedars of Russia” company. We have the full range of cedar creams at our warehouse in Siberia and will be able to send you the cream balm right after we receive payment. You can make a purchase online right now. To make the process safe and convenient we use PayPal service and deliver by DHL right to your door. The products presented on our website are original and protected against forgery.